For her third album, Tamuz has concentrated on songs from the jazz repertoire (adding some lyrics of her own to “Groovin’ High” and “Fried Bananas,” as well as a vocalese on“Smile.”) Produced by Nissim and bassist Harvie S, the record is a journey through the heart as it experiences that crazylovely little thing called love: its rhythms, upswings, downbeats... echoes.Three of the tracks, as in her first two fine efforts (The Music Stays In A Dream,Liquid Melodies), are originals: “My World”, a luscious, lilting ballad; “In The Melody Shade,” hitting right in Nissim’s melodic wheelhouse, with lyrics inspired by the Israeli modernist poet, Yehuda Amichai; and the title track, “Echo of a Heartbeat,” which invites you to dive headlong into its groove, swim around awhile, and get lifted up on the bridge supplied by George Nazos’ haunting guitar. Dexter Gordon’s “Fried Bananas” is held down by the rhythm section while the other cats make the time to fly and swing. As Dexter would say: “Bananas are bananas except when they’re fried!” “Just Squeeze Me,” set off by Harvie S’ compelling basslines, turns Lee Gaines’ tune on its head: is this a plea, lament, command, request, mocking rebuff? Meanwhile, one is unprepared for Tamuz’s take on Jim Croce’s “Time in a Bottle.” We’ve had loads of popular songs reworked into a jazz idiom, but Nissim’s phrasing, not to mention James Weidman’s jaunty piano work, renders this into something else entirely. The melancholy behind the vocals, the doleful downbeat infused with the uplift in the keys, unearths the song’s inherent conflict, that unreachable-reachable if only. Dizzy Gillespie’s “Groovin’ High,” is also taken to another place, a rare, minimalist track on the album, exclusively bass and vocals. One doesn’t know who accompanies whom here, the scatting and the plucking are so perfectly integrated. And it doesn’t matter: It’s mornin’, baby, get to work. The meaning of life indeed. After a swingin’ version of Harry M. Wood’s classic “What A Little Moonlight Can Do” (to paraphrase Mr. Rawls: “It ain’t easy to swing, but those who can, make it look that way”); Charlie Chaplin’s “Smile,” which Nazos takes into flamenco territory, closes out the album. One can envision the Little Tramp himself doing a slow spinning solo to this, his coattails dragging behind as the credits roll. The temptation here is to say that the musicians on this release are a “bonus” that augment Tamuz’s sublime vocals. 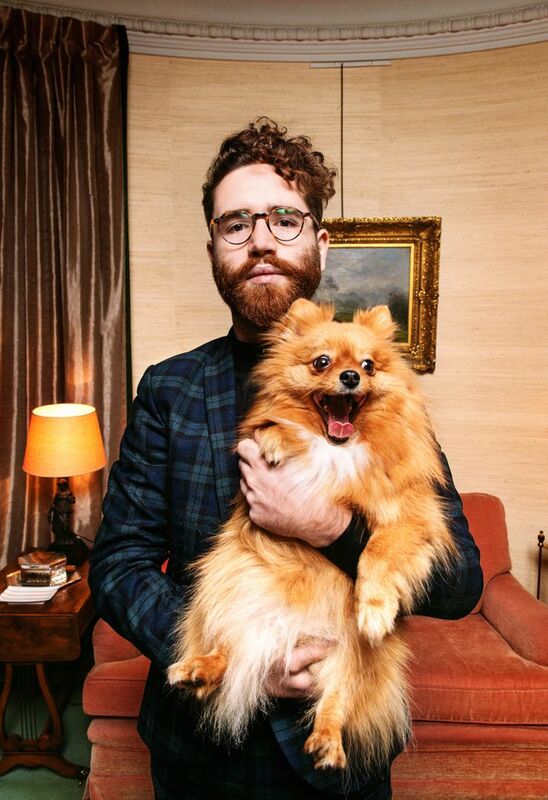 But that would be an inaccurate representation of this thoroughly seamless ensemble. (And believe me, as a show host on a New Orleans radio station, I’ve come to know a little bit about seamless ensembles.) All the players are accomplished performers who have worked with a host of remarkable vocalists: Bassist Harvie S, with Sheila Jordan, pianist James Weidman with Abbey Lincoln;s band and Tony Jefferson, who has a resume as long as his two arms, not only kills with the sticks but is a great singer himself. 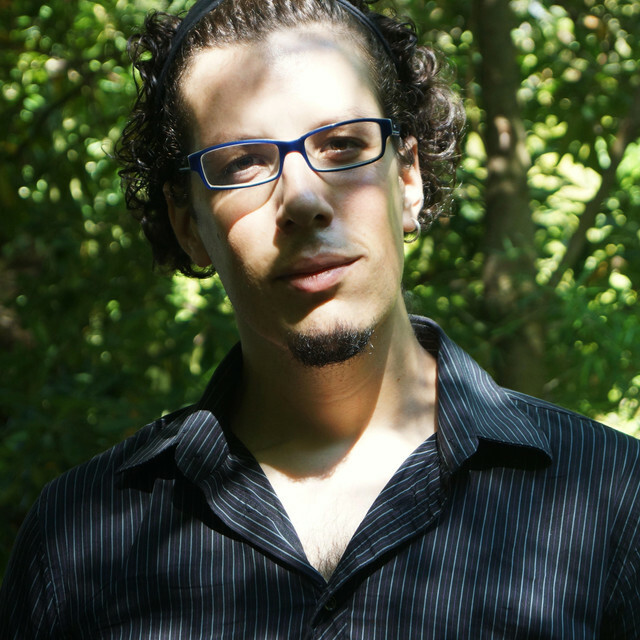 Then there is George Nazos, whose guitar work has lent an essential element to Nissim’s music for the last ten years. 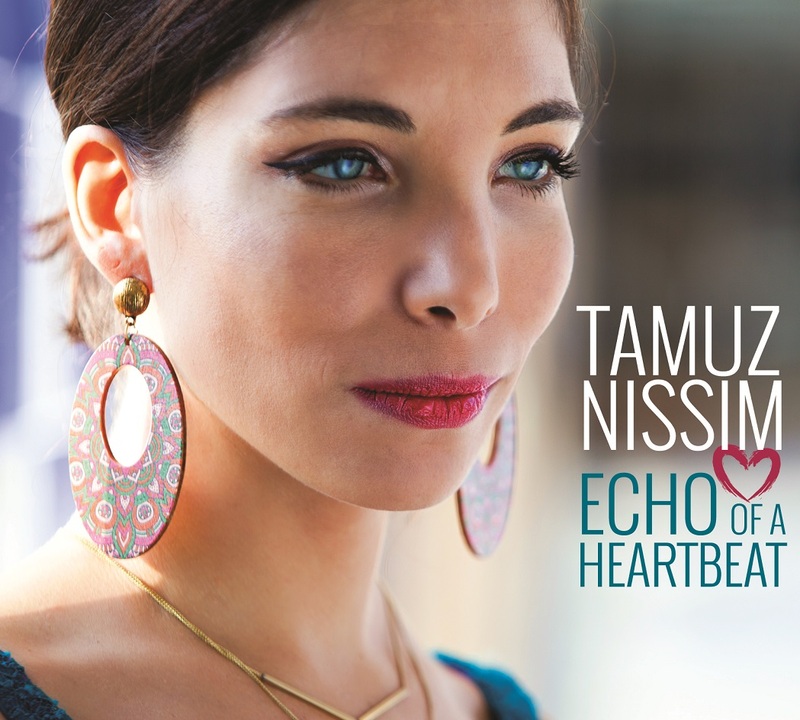 NYC based- Israeli Jazz singer, composer and pianist Tamuz Nissim is described by Athens Digital as “a proof that jazz is a living art and that stars are still being born” . She is performing often in New York City Jazz clubs and in March 2017 she published her latest CD “Liquid Melodies” , a common project with guitarist George Nazos. The CD received great reviews from the press and was broadcasted in more than a hundred radio stations in the States and more around the world. Her debut CD “The Music Stays in a Dream” (2013) featuring her original compositions was presented in radio stations world wide and in several festivals such as the Athens Technopolis Jazz Festival, the Preveza Jazz Festival, the Montofoli Festival and the Tinos Jazz Festival. Her performances won warm reactions from the audience and the press, describing Tamuz as a “very charismatic artist” (BHMagazino), “a voice that caresses your soul” and “a proof that jazz is a living art and that stars are still being born” (Athens Digital). “An extremely gifted jazz singer that is bringing in her debut album a lot of freshness.” (Third Ear, Israel) Also her composition “Broken Promises” has been featured in the Greek Jazz & jazz magazine CD collection “Summer jazz Flirt ”. She moved to the Netherlands in 2007 to study at the prestigious Royal Conservatoire of Den Haag; from there she received a Bachelor’s degree in Performing Arts, voice and side subject piano. In the Netherlands she met musicians from around the world and started collaborating with the guitarist Giorgos Nazos, the bassist Vassilis Stefanopoulos and the pianist Francesca Tandoi, with whom she later recorded her debut CD. In Holland besides many performances at the local Jazz clubs she also performed at the Amsterdam Israeli flm Festival “Filmisreal” 2011 and her composition 'Shir' was featured in the Record “Love, Live ,Listen 2 - The Hague playlist” . In 2013 she performed at Holon Women's Festival in Israel, a common project with singer Martha Mavroidi. In 2015 was chosen as a fnalist at "Riga Jazz Stage international vocal competition" and performed at "Riga Ritmis" International Jazz Festival in 2016. ​In 2015 Tamuz moved to New York City where she performs regularly at clubs such as Cornelia Street Cafe, Club Bonafde, The ShapeShifter Lab, Silvana, Cafe Vivaldi, Whynot Jazz Room, The Flatiron Room and many more. She was invited to participate in an International Jazz day concert as part of the Atlanta Jazz Festival 2017; She was also invited by artistic director and award wining pianist Ted Rosenthal to perform at the Riverdale Y theater in an event including Jazz giants bassist Harvie S, vibraphonist Mark Sherman and legendary drummer Louis Hayes. From this event he started a fruitful collaboration of performances with bassist Harvie S and a tour with him and with trombonist Willie Applewhite in Israel and Greece the Summer of 2017. Whether she is leading her own group or invited by fellow musicians she manages to captivate the audience and add her personal touch to the music. Desidério Lázaro, renown sax player and considered one of the best portuguese jazz musicians, returns to the recordings after the successful "Subtractive Colors" (2015, Sintoma Records). In this record he plays in quartet, with João Firmino on the guitar, Francisco Brito on bass, and Joel Silva on drums. “Moving” is a record about journeys, an eclectic mix of musical genres and emotional breakthroughs. Hence, from the energetic tune "Moving" to the serene "Introspective", from the homages to father ("Hidden Pain") and son ("Lullaby"), it's impossible not to get acquainted with this music that, even though mixes jazz and rock, is becoming more and more cinematographic. Desidério Lázaro, reconhecido saxofonista e tido como um dos melhores músicos de jazz português, regressa às gravações em nome próprio. Neste disco apresenta-se em quarteto, fazendo-se acompanhar de João Firmino, nas guitarras, Francisco Brito, nos baixos, e Joel Silva, na bateria. «Moving» é um disco de viagens, temporais e físicas, uma soma eclética de géneros e estados emocionais, algo a que o saxofonista algarvio já nos habitou. Assim, desde o enérgico tema homónimo «Moving» ao sereno «Introspective», passando pelas homenagens a pai («Hidden Pain») e filho («Lullaby»), é impossível não se relacionar com esta música que, embora polvilhada de jazz e rock em doses repartidas, se quer cada vez mais cinematográfica e envolvente. 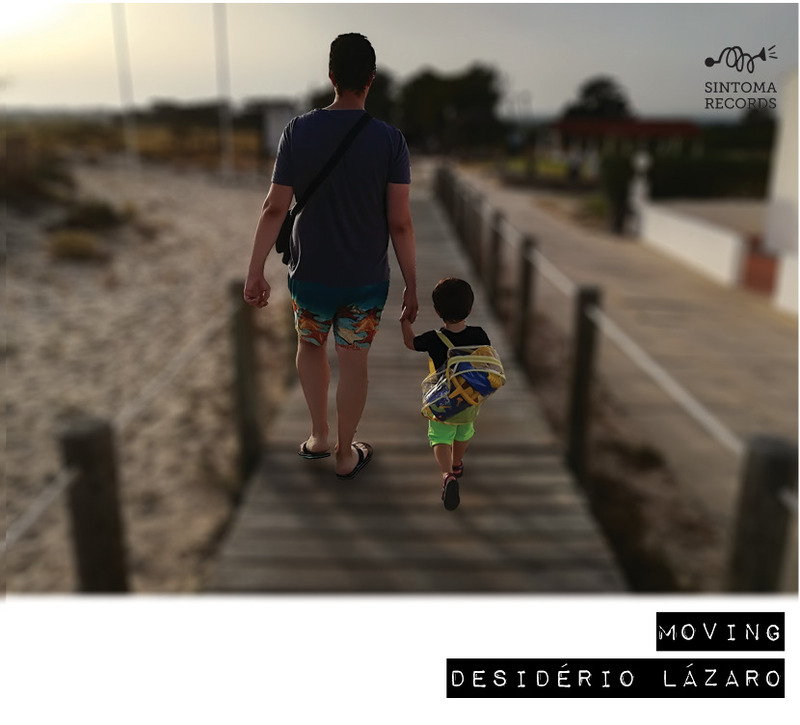 O quinto álbum de música original do saxofonista Desidério Lázaro, «Moving», chega-nos no início de 2018, sob o selo da editora independente Sintoma Records. Dom Farkas voix sur "Bingo Mazout"
nOx.3 réunit depuis 2013 le saxophoniste Rémi Fox, le pianiste Matthieu Naulleau et le batteur Nicolas Fox autour du même souhait de faire du jazz une musique résolument ancrée dans le présent. Toujours à l'affût de nouveaux sons, le groupe se nourrit aussi bien des musiques dites savantes que populaires, les détournant pour en faire leur terrain de jeu. Grâce à leur collaboration avec l’ingénieur du son Valérian Langlais, les trois musiciens génèrent des sons inspirés, faisant se croiser des improvisations purement “noxiennes” et des rythmes propres à la scène électro contemporaine. En résultent un premier EP en avril 2014 puis leur premier album enregistré en mars 2015 au studio La Buissonne avec les ingénieurs du son Gérard De Haro et Valérian Langlais. WAÏ NOX sortira six mois plus tard sur le label du Collectif Loo. La même année, nOx.3 est le groupe lauréat du tremplin RéZZo FOCAL de Jazz à Vienne, et rejoint de ce fait le label JazzVillage / harmonia mundi pour Nox Tape, enregistré à Lausanne au Studio du Flon avec Greg Dubuis en novembre 2015. 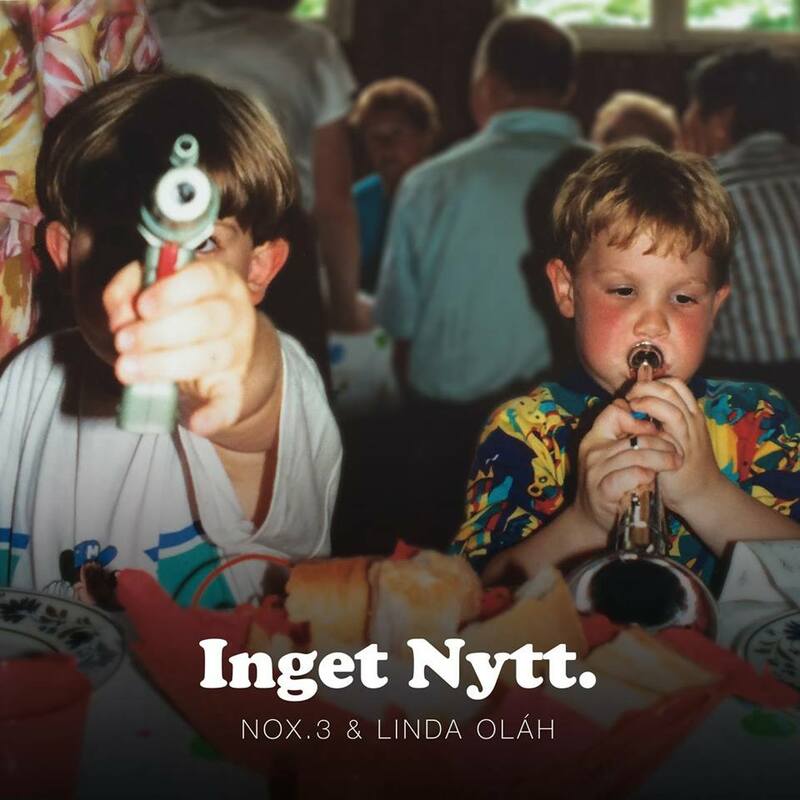 Poursuivant les recherches, nOx.3 s’associe fin 2016 à la chanteuse suédoise Linda Oláh. Née à Stockholm en 1988, cette dernière a d’abord exploré le chant par le biais de la comédie musicale et de l’opéra, deux écoles qui lui ont permis de donner à son interprétation une palette riche. Artiste complète, elle modèle sa voix en véritable contorsionniste, entre cris, soupirs et craquements rauques, à la recherche de poésie. 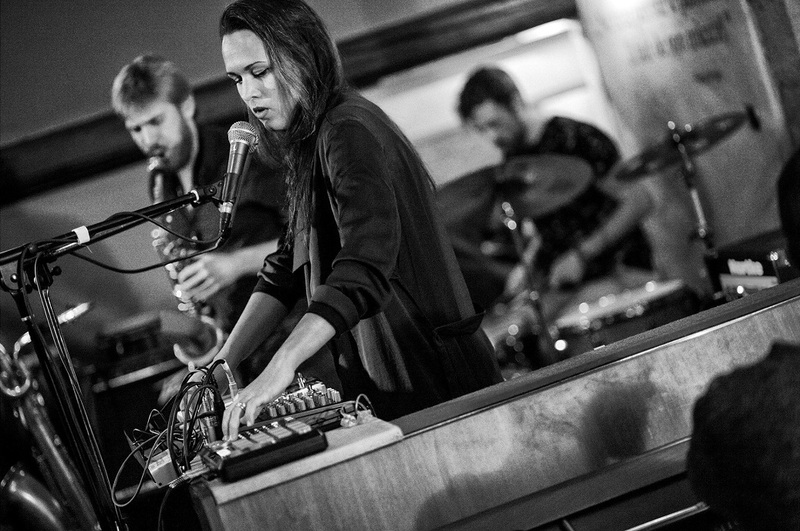 Ces facettes multiples lui permettent d’explorer des horizons éclectiques, d’une part en faisant se croiser Moondog et Kraftwerk avec le projet Cabaret Contemporain ou en intégrant des big bands – notamment Umlywood Orchestra. Elle se consacre également au répertoire contemporain et à la musique improvisée, en solo ou en groupe (BELLE/ Charles 313 / Luna Maze), mais aussi à des projets transdisciplinaires tels que A Consequence of Mergance avec les danseurs Toby Kassell (GB) et Ingeborg Zackariassen (NO).